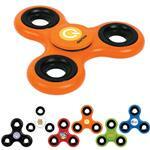 We love the Spinnit Spinner Pen - a great promotional pen that is fun and unique. Once you pick it up, you cannot put it down. 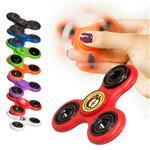 The ergonomic, easy-to-use, thumb spinning action is highly addictive and oh- so-fun. 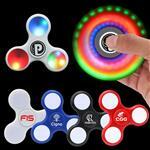 Better than a fidget spinner, the Spinnit Pen keeps you focused and productive while taking notes, writing papers or sitting in on yet another conference call. 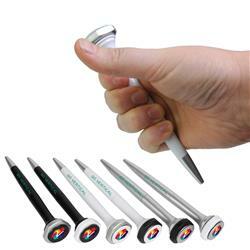 Available in any 6 color combos, the Spinnit Pen is highly versatile for branding and universally appealing. This is also great for conferences or long meetings as it helps you get out the nervous energy without that annoying clicking sound! 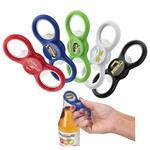 Production Times Available: 5 working days standard up to 1000 pieces. Dimensions: 5.6" x 1.2" x 1.1"
Typical Imprint Area(s): 0.9" Diameter (Top) 1.3" x 1.2" (Barrel). Screen on Barrell. Full color Available on Top.